How Wonderful!!! 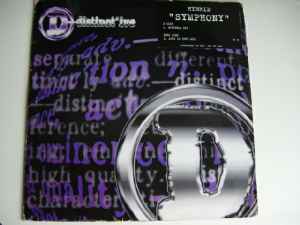 That's Hybrid ‎– Symphony's Classic Album From 1996 UK. We want Buy It. I've been trawling through some of the Northern Exposure collections and obviously Symphony by Hybrid is definitely one of the better tracks on the second compilation. What struck me today when I was listening to Henryk Górecki's Symphony No.3, Op.36, part i. Lento (Sostenuto Tranquillo Ma Cantabile) was that I was flabbergasted to find the similarity too near to be a coincidence ! Correct me if I am wrong but it sounds as though Hybrid have obviously taken the basis of the melody, developed it and added vocal samples. Something to ponder ! Perhaps this explains why the track is one of the better ones on the album, because the melody used preceded this track by at least 25 years! Symphony can only be described as a beautiful classic, I'm not sure where the strings are taken from or if reworked but the same sounds appeared on 808 State's Plan 9. After buying Comix - I Need Ya Humm... I picked up a promo copy in HMV for £2.99 due to the fact that it was by Hybrid then realised I had no money, put it back on the shelf as there were quite a few copies left and went back the next day to find unsurprisingly they were all gone, all the remixes are decent but they don't quite have the fresh sounding originality of Symphony. 'Symphony' is a serious masterpiece. The first time I heard it was on Sasha & John Digweed's 'Northern Exposure 2: East Coast Edition', and I was blown away. Unbelievable uplifiting breakbeat/trance tune.